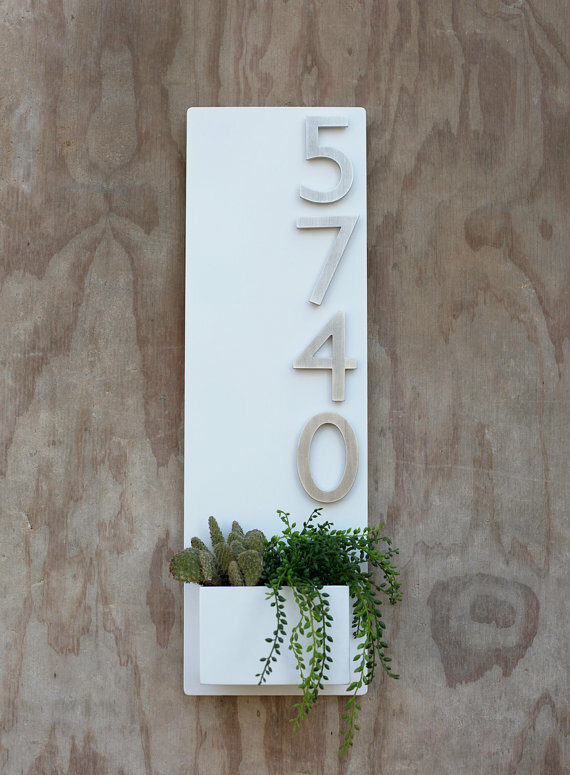 This planter is made to order in Austin, TX and is constructed of 14 gauge steel and powder-coated pure white. The paint finish is sleek, glossy, and will stand up to the elements. 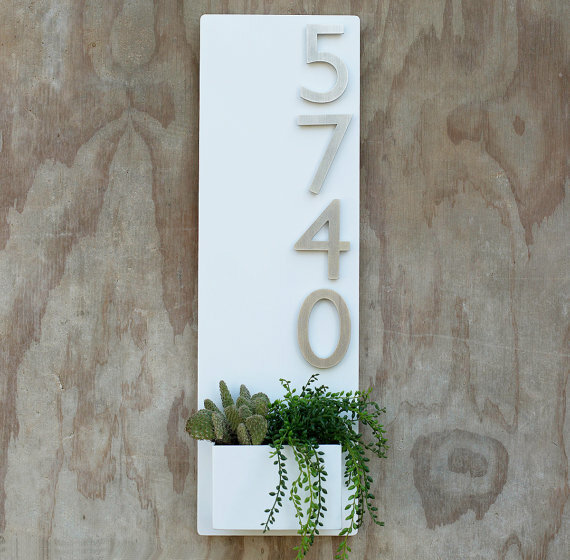 The planter floats about a quarter inch off the wall and is held with a handmade metal cleat (included) for ease of hanging. Each planter has a welded ‘lip’ on the back so it easily slides into the custom metal cleat. 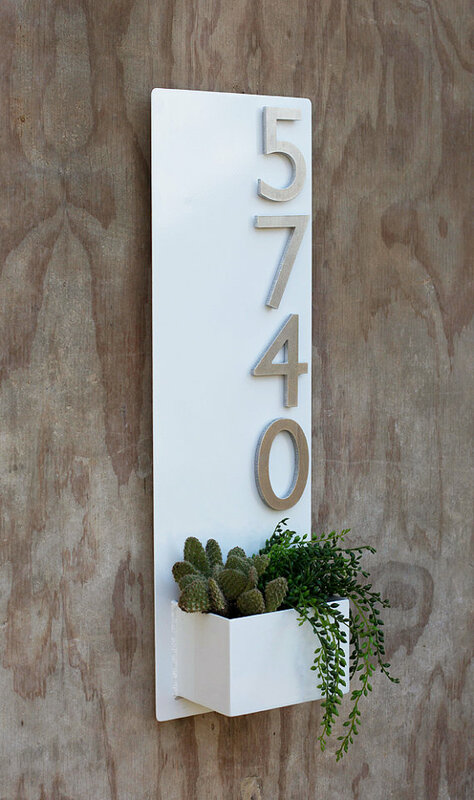 Four 4″ solid brushed aluminum numbers are included and come with industrial strength magnets attached. They are easy to hang and adjust, will stay put, and in case you move you can take your planter with you and simply order new numbers!